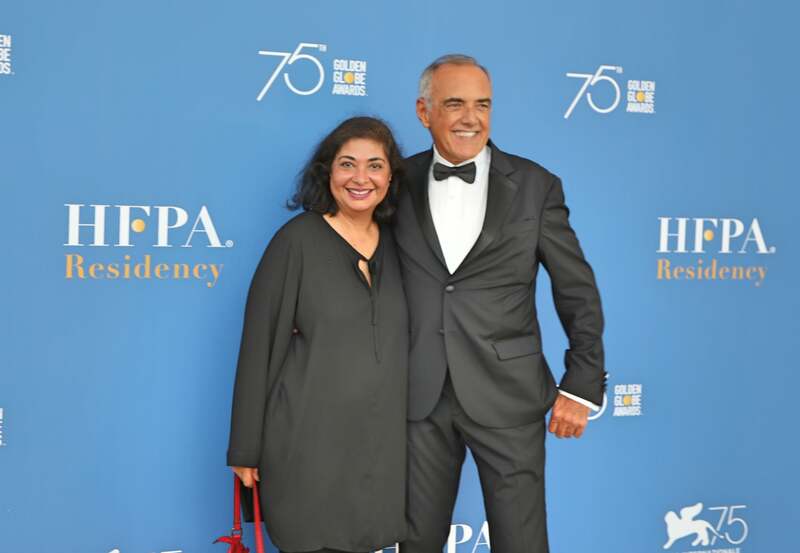 HFPA President Meher Tatna and Venice Interntional Film Festival Artistic Director Alberto Barbera. Three filmmakers (writers, directors, producers) from The Orizonti Section of the Venice International Film Festival and three filmmakers from TIFF's Filmmaker Lab, the Festival's flagship talent development programme, will be selected to travel to Los Angeles from January 2 – 23, 2019 for mentorship, master classes and workshops. They will be paired with individual mentors who are respected filmmakers to help hone their skills, attend screenings and education events hosted by Film Independent, and attend the HFPA-hosted 76th Annual Golden Globe® Awards viewing party. The President of the Biennale di Venezia, Paolo Baratta, has stated: “Among the things we like most is helping new talents. Each institution, whether private or public, can contribute with acts of generosity". "As Film Independent continues to expand its support of filmmakers working internationally, we can't imagine a better partner than the Hollywood Foreign Press Association," said Film Independent President Josh Welsh. "We look forward to meeting the talented filmmakers from the Venice and Toronto film festivals and introducing them to the film community of Los Angeles."